March is right around the corner, but that doesn't mean Colorado is done with winter conditions. Last weekend, the Denver area enjoyed a sample of spring as temperatures reached over 60 degrees. Unfortunately for many, reality came crashing down Monday morning as temperatures plummeted by over 30 degrees as a cold front moved into the area. On top of that, some parts of the region received more snow. The temperature is warming up now, but given the time of year it's difficult to assume what the weather will be on any given day. Warm spring-like temperatures can be mitigated by cold and snow at any time over the next few weeks. So what does this mean for businesses? If your company resides in areas with cold and often unpredictable weather, it may be difficult getting everyone under one roof at one time. Snow storms or other weather-related incidents could keep team members at home or cause problems for those who are in the office. Fortunately, data and telecom systems have evolved to a point where they can help mitigate the impact of bad weather. Let's take a look at a few solutions and the role they can play in this process. Cloud computing – Not only can storing documents and data in the cloud improve office efficiency and give users the ability to obtain information on the go, it can help users stay connected to their jobs when they aren't in the office. Suppose a storm prevents an employee from making it in, but they have an important report to work on that day. If it is accessible via the cloud, your worker may have the ability to obtain the needed documentation from their own homes. Additionally, suppose a storm impacts the office and cuts power. If your information is on physical servers and the outage impacts the integrity of those servers, you could suffer from lost information. if you work with a cloud services provider to ensure your data is stored securely in that environment, it likely won't be where your office is, meaning it won't suffer the problems inflicted on your facility. This allows you to access information remotely and lets you know it's safe and sound, regardless of the conditions in your particular area. Voice over IP – A comprehensive VoIP system contains a myriad of features designed to improve connectivity and communications both internally and externally at your organization. If the phone lines go down due to a storm, you can still keep your voice connections active. Or, if employees have to stay and work from home because the conditions won't allow them to make it to work, they can attach their mobile or other personal lines to their forwarded VoIP phones, which means they can stay in touch with clients and partners no matter where they are. Disaster recovery – Ultimately, the most important thing to do after a disaster strikes is to get back up and operating as soon as possible. 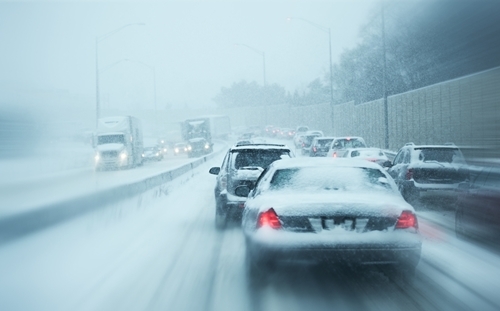 If your company is hit by a substantial snowstorm or other weather event, you want to make sure your downtime is minimal. Working with a solutions provider in the Denver area can let you rest assured that your problems will be resolved in a quick and efficient manner, which means that regardless of the magnitude of the storm, the impact on your business will be minimal. This entry was posted in Cloud Based Services, VoIP on March 3, 2014 by Telecom Solutions Inc,.